Dodge is a full line of cars, SUVs and MPVs that are agile, daring, sensible and inventive. The product line includes the Dodge Caliber, Dodge Avenger, Dodge Challenger, Dodge Charger, Dodge Grand Caravan, Dodge Journey, Dodge Nitro and Dodge Viper SRT10. For the first time in its history, Chrysler Group LLC will launch a special-edition Mopar version of one of its vehicles. The Mopar ’10, a Mopar 2010 Dodge Challenger, arrives in Dodge dealerships next month. Dodge Brand President and CEO Ralph Gilles and plant manager Shelly Brown Gordon welcomed more than 400 hundred loyal Viper owners at the Conner Avenue Assembly Plant in Detroit today to present the ultimate factory customized 2010 Dodge Viper coupe to proud new owner D’Ann Rauh. 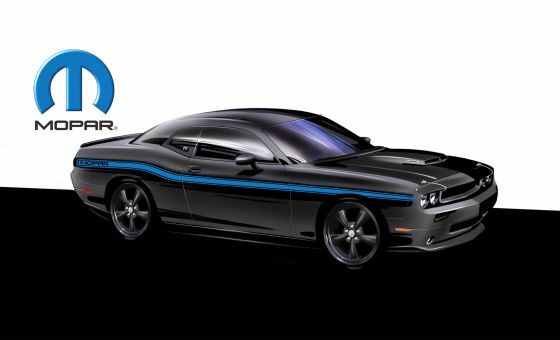 Mopar is giving Dodge Challenger even more of a muscular appearance. Dodge today pulled the cover off the newest special-edition model of the 2010 Viper SRT10 lineup. The Dodge Viper SRT10 ACR-X is a turn-key, non-street legal race car that is slated to make its on-track debut in the summer of 2010. To celebrate the final production year of the current generation Dodge Viper SRT10, Dodge plans to deliver a vehicle lineup like no other since the introduction of the iconic American sports car in 1992. The Street and Racing Technology (SRT) team from Chrysler Group LLC arrived at Laguna Seca raceway today on a mission – to recapture the production car lap record at the world-renowned road course in Monterey, Calif. Dodge today announced an exclusive production run of the 2010 Dodge Challenger R/T Classic and SRT8 featuring the classic Plum Crazy Pearl Coat exterior color. Both Dodge Challenger models deliver the best of modern American muscle-car characteristics – unmistakable design, world-class handling, powerful HEMI V-8 engines and technology – now with an extra dose of nostalgia. The new 2009 Dodge Charger police car is ready to patrol the streets with the ultimate in pursuit power â€“ the new-generation 5.7-liter HEMI V8 engine. The new engine will give the good guys more horses under the hood and even better fuel economy. The 425 horsepower (317 kW) and 420 lb.-ft. of torque (569 Nm) in the 2010 Dodge Challenger SRT8 are the result of SRT’s exclusive and proven 6.1-liter HEMI V-8 engine, which represents the highest naturally aspirated specific-output V-8 engine ever offered by Chrysler.